Jack (Jacek) is originally from Poland and brings to the Premier Group of Long and Foster a strong background in research, information analysis, education as well as experience in working with clients from all over the world. His ability to understand people’s needs, innovative strategies, and his professionalism, make him a “go to” person not only during the process of buying, selling or renting a real estate, but also before and after completing the process. Since 2004 Jack has been involved in analyzing information and negotiating terms between parties, working both with clients from the USA, the European Union as well as other parts of the World. During his previous employment experiences, Jack’s uniqueness in creating and implementing new strategies and methodologies focusing on research, market analysis, market intelligence and sales allowed him to exceed the company's expectations for 8 consecutive years. In addition, his attention to details, creativity, flexibility and ability to understand his clients concerns and needs allowed him to be a successful business owner for many years. Jack is one of the leading real estate agents who runs a "homebuyer" class in his downtown Frederick office. 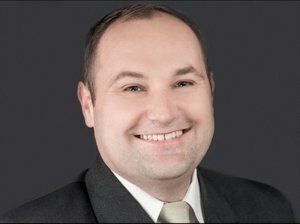 Not only because of his real estate experience, but also because of his past teaching and translating experience as well as years of independent work directly with clients, Jack has a unique ability to communicate to his clients the complex process of buying and selling properties, so it is easily understood. His proven past performance as well as the highest clients' ratings make him a trusted partner for anyone who wants to succeed in purchasing or selling a house. Jack has a bachelor’s degree from a College in Poland. He is fluent in Polish and English. If you have any questions related to real estate, please do not hesitate to contact me at 240-997-7284. Jack was an amazing realtor. He was very knowledgable about the entire process and was there to answer our many questions. He kept us calm the entire time, and reassured us when we hit little speed bumps. Jack is always available to talk, whether that be through email, text or a phone call. He devoted his time to us when we needed it the most. I will be recommending Jack to everyone I know. If I could give him more than 5 stars, I would. Jack Maksymiuk is an incredible realtor! My husband and I are amazed at how he worked above and beyond to help us find a fixer-upper home. He is pro-active in sending out listings, he is quick to respond to questions and he is observant to the needs of the client he's representing. I would highly recommend Jack for anyone who is looking to purchase or sell a home. When purchasing my first home, having Jack as my realtor was the best decision I made. He guided my husband and I thorough out the entire home buying process (and we had no clue where to start). He genuinely cared about finding a home that met our needs. He is professional, honest, and personable. His experience with the home buying/selling process is amazing and I learned a lot from him. He responses to emails, text, and calls quickly, which is nice for a worried first time home buyer. I am very grateful that I met Jack. He will not disappoint you. Amazing realtor to work with. It is so hard to find words for Jack because he goes above and beyond. This was our first home buying experience and I literally left with no complaints. Through all the ups and downs Jack remained positive and kept my husband and I going. If you need a realtor this is the person to work with. He works with you, never against you! My husband and I cannot thank him enough for the work he put into this and how much help he was. Jack helped us find our next home in a matter of days by understanding exactly what we were looking for and what we could afford. He exceeded our expectations by making the process as effortless as possible and always being two steps ahead in the process to make it as easy as possible for us. Will certainly be recommending Jack to our friends and family as well as looking to him should we choose to move again in the future. Jack is an OUTSTANDING realtor. My wife and I have bought and sold many homes and have both worked in the home construction industry interacting with many realtors through the years. Jack was careful to analyze our needs and find us the right property. His advice was invaluable since we were new to the Maryland market. My wife and I were often in different time zones. Jack made himself available on any day and at all hours. He worked tirelessly and patiently as we decided searched for the right fit for us. Jack has a keen knowledge of the Frederick region. We cannot recommend him highly enough!